The county town of Cornwall, Truro is the most southerly city in the UK. A picturesque city that thrived during the boom in tin mining during the 18th and 19th Centuries, the town centre is dominated by the cathedral, completed in 1910. Largely of British origin, about half the population of Truro identify as Christian and around a third as non-religious. 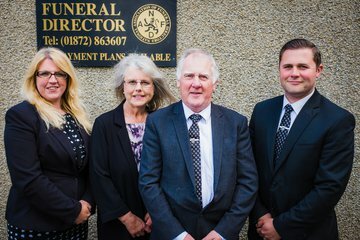 This means that while funeral directors in Truro will be able to offer traditional funerals, they may also be able to help in arranging secular or Humanist services. Sixteen churches serve Truro’s population of 21,000. Other faiths are represented further afield, with Baha’i meetings in Hayle. 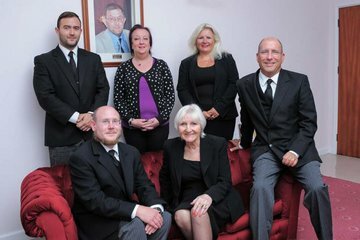 There are eight funeral directors in Truro and its surrounding areas. The city itself has one cemetery at St Clement’s Hill and there are also a further four nearby in the Redruth area and one in Falmouth. Penmount Crematorium, on a secluded estate on the edge of Truro, serves the whole of Cornwall and also offers a natural burial ground. Search for local Truro funeral directors now to see funeral homes near you. You can filter search results by best rated, most reviewed or nearest to you. Click on a funeral director’s listing to see their profile page, where you can read independent customer reviews, search for recent obituaries, and learn more about the funeral services they can offer to you. Very experienced and compassionate family business. This was the 5th funeral they have arranged for our family and we wouldn’t contact any other funeral director.. Everything is thought of and those personal kind touches help at a very sad time, this made dads send off exactly what we all wanted.